Other features include a detachable leather strap, topside zipper compartment, black lacquered edges and silver-tone metal hardware. 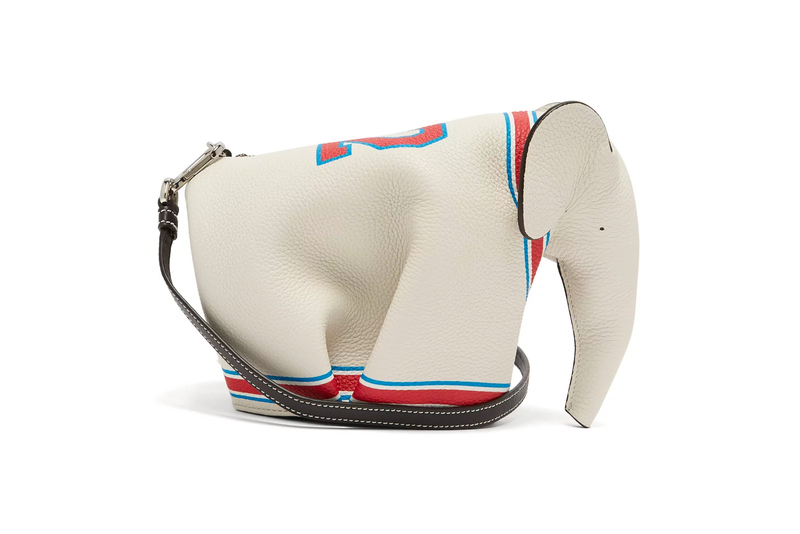 Set to a retail price of $1,493 USD, you can find this Loewe FW18 cross-body elephant bag now at matchesfashion.com. In case you missed it, Heron Preston teased his upcoming Nike collaboration. Noting other projects set for the Windy City. Take an Official Look at the Nike Zoom Fly Flyknit "Flash Crimson/Black"
Just in time for marathon season. Reworking wardrobe staples with utilitarian components.